Has the guest in front of me been to our house before? The maid must not forget that Mrs. Schmidt is allergic to down feathers. I would rather not house Mr. Müller-Lüdenscheidt again, as he usually ruins his room. These and many more are daily requirements to your guest management system - which Lodgit Desk can cover with ease. 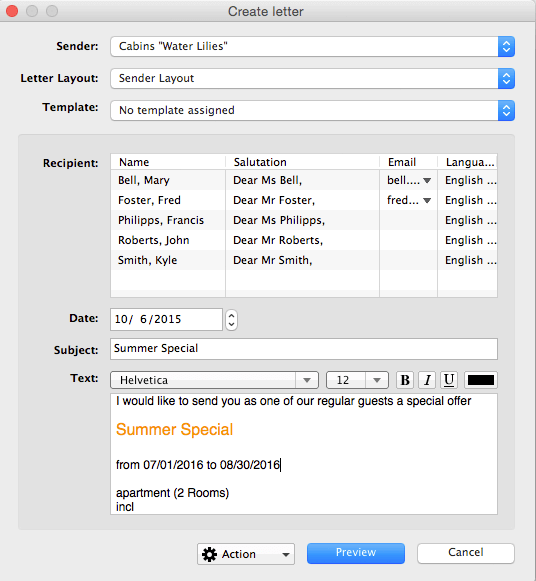 Create letters and e-mails for single or multiple selected guests (bulk letter function). Of course you can use the individual, personalized salutations stored in the guest data as well as a country- or guest-specific address format. Always keep track of the entire correspondence with your guests as all letters as well as offers, confirmations and invoices will be stored both with the guest data in the guest management (history) as well as in the searchable archives. 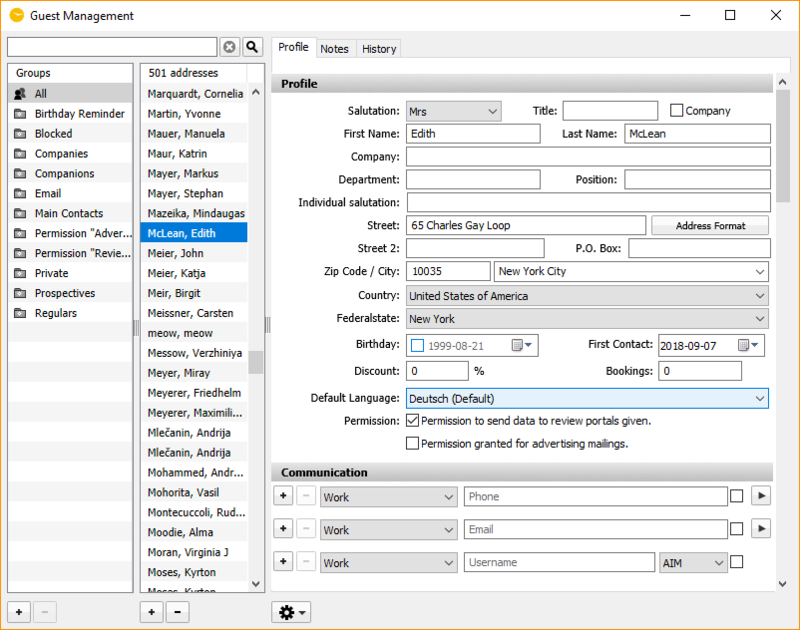 Using an export interface your guest data can also be stored as a CSV- or Excel file which can then be used with other software such as Microsoft Word™ e.g. to create bulk letters there.